Home›Features›Vegas' Own Count's 77 Much Anticipated Debut Album Out Now! 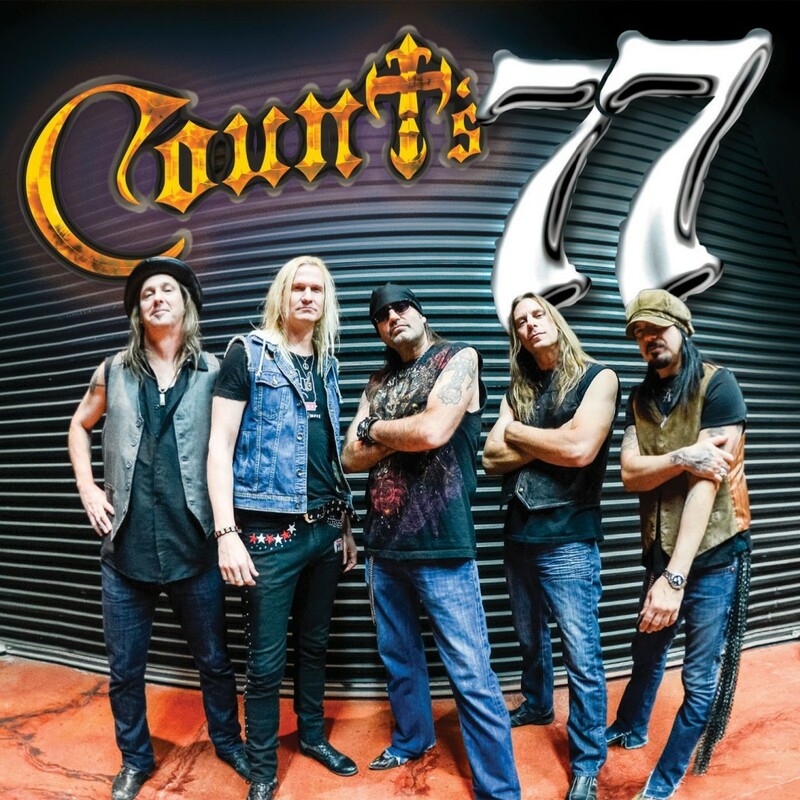 Count’s 77 is the first release from the band of the same name, released in April of 2014. The album is produced by Mike Varney. In recent years, someone who has been rising in popularity in the entertainment world is Danny “The Count” Koker. Previously famed for his role as an auto restoration expert on Pawn Stars, he has since come into his own on the spin-off series, Counting Cars. Anyone who has seen episodes of the show also knows that Koker is a musician as well, having been playing shows around the country with his band, Count’s 77 (formerly Zito 77). In Las Vegas in the 1990s, Koker was already famed with local residents under the guise of Count Cool Rider, under which he hosted a series of Saturday night B-movies on a local channel owned by his family. With several years of Count’s 77 shows going on around Vegas (and more recently, beyond as well), people were wondering how long it was going to be before the band buckled down and recorded an album. At long last, the band’s debut CD has arrived on Shrapnel Records. -Danny “The Count” Koker on vocals. Best known for his work on Pawn Stars and Counting Cars as an auto restoration expert with his company, Count’s Kustoms, Koker also owns the Count’s Tattoo Company in the Rio hotel/casino, and the Count’s Vamp’d rock bar and grill venue. -Stoney Curtis on guitar. Outside of Koker himself, Stoney probably has the biggest following of any of the band members. He has released several Stoney Curtis Band CDs, which were also released on Shrapnel Records and produced by Mike Varney. -John Zito on guitar. Another noteworthy guitarist, Zito’s band released a new CD worth of material last year as well. -Barry Barnes as bass. Barnes has also played with and made regular appearances with Stoney Curtis’ and John Zito’s solo bands as well. -Paul DiSibio on drums. DiSibio is a very diverse drummer who has played in a myriad of bands apart from Count’s 77. -Tommy Paris on keyboards. Formerly known as Don Jillson, Paris is most noteworthy for his role in classic hard rock band Britny Fox. Paris is credited as an additional musician on the CD rather than a full band member, but has since joined the group full time. -Other additional musicians on the album include backing vocalists Chris Logan (Michael Schenker Group) and Paul Shortino (Quiet Riot, Raiding the Rock Vault). The Count’s 77 CD has been eagerly awaited by many people. Counting Cars viewers, fans of the Vegas rock scene, and everyone in between! I was looking forward to this disc, hoping it would live up to the hype so many people had built around it. This reviewer will be the first to admit he was unsure if Koker would be able to step up to the microphone and shell out solid vocals, but had been proven wrong by countless shows over the past several years. How does this disc itself measure up, though? This is something I had been waiting for, for the past several years. 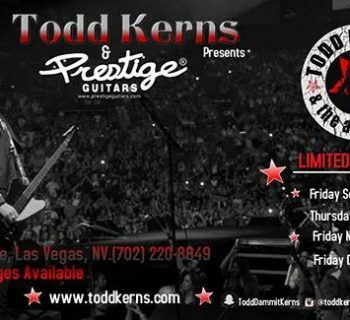 Several of the best musicians that call Vegas home coming together, bringing their collective talents together into a single band. In some ways, you could call this a supergroup of Vegas rock scene musicians. The Count’s 77 CD comes as a breath of fresh air in a world where most new music is dismal, and many new albums from old artists are equally dismal because they copy modern sounds. This album takes its influences from all over the place – Classic rock, hard rock, blues, you truly get the best of all worlds here. When Stoney Curtis put out his new album last year, I praised it for staying true to his blues roots, but at the same time also being a more commercial effort that would appeal to a larger fanbase than his previous work. This is similarly true of the Count’s 77 CD; the band stays true to these musical backgrounds that they draw influence from, but at the same time they manage to have a commercially appealing sound that many fans are going to enjoy. This disc does not have any weak moments. There are hard rockers, bluesy songs, slower songs, lengthy jams, and everything in between. Some highlights include hard rockers like Let the Rockin’ Do the Talkin’ and Riding with the Sons of Perdition, more pop-flavored numbers like Lovin’ Like This and End of the Day, and the extended bluesy jam, Save a Little Something for Me. There is a lot to love about the record, as anyone listening is sure to find out quickly! A few of the tracks are slightly longer than they need to be, but this is a minor nitpick in an otherwise excellent album that trumps almost everything else I have heard in 2014 so far. Of course, someone who deserves major praise for the record is producer Mike Varney. This man has been in the business for well over three decades, and has done a lot of good for the world of hard rock and heavy metal. In fact, it is Varney that first brought Yngwie Malmsteen to America and gave him his first taste of international stardom! Varney’s production is solid on this record; the album definitely sounds better and cleaner than a “raw” recording, but manages to do so without feeling overproduced or overly polished. This release of the band’s album also includes two bonus tracks (it is not clear exactly why these are bonuses or if they will be on all versions of the album in print). You get two cover songs, Rock and Roll Hoochie Koo (as made famous by Johnny Winter and Rick Derringer) and Snortin’ Whiskey (as made famous by Pat Travers). Both are solid cuts and the Count and company certainly do them justice! This debut release from Count’s 77 is a solid release all around, and will likely be seen as a pleasant surprise by many. The band is solid throughout the disc, and there are no dull moments in the set. After having heard the band’s live performances and experiencing what they have to offer musically, it is good to see that the disc does justice to their musical talents. This is more than just a “novelty” release; in fact it gets my pick as one of the best new albums in 2014 so far! A very strongly recommended release. The Park Theater Opens With The Gypsy Witch Herself- The Incomparable Stevie Nicks- What A Magickal Evening It Was!